B0888. 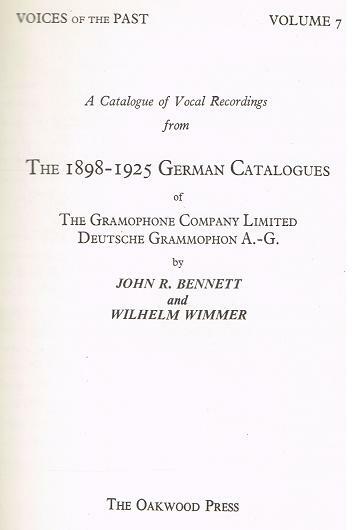 John R. Bennett & Wilhelm Wimmer. 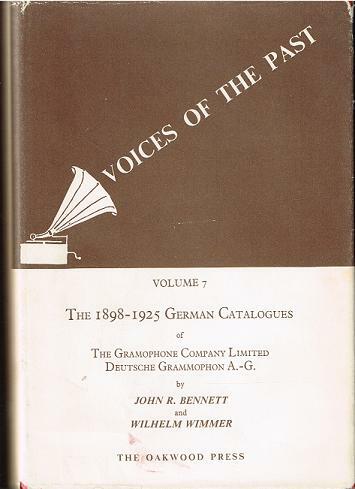 Voices of the Past, Vol.VII - The 1898-1925 German Catalogues of The Gramophone Co. Ltd. Deutsche Grammophon A.G. Lingfield, England, Oakwood Press, 1967. 404pp. Index; DJ.